Ships today if you order in the next 2 hours 7 minutes. MegaFlora by MegaFood works to promote a healthy balance of intestinal flora and support women's urinary tract and vaginal health. Keeping a healthy balance of intestinal flora is important to overall health. Many people take a daily probiotic to support this balance, since probiotics promote the growth of intestinal flora. 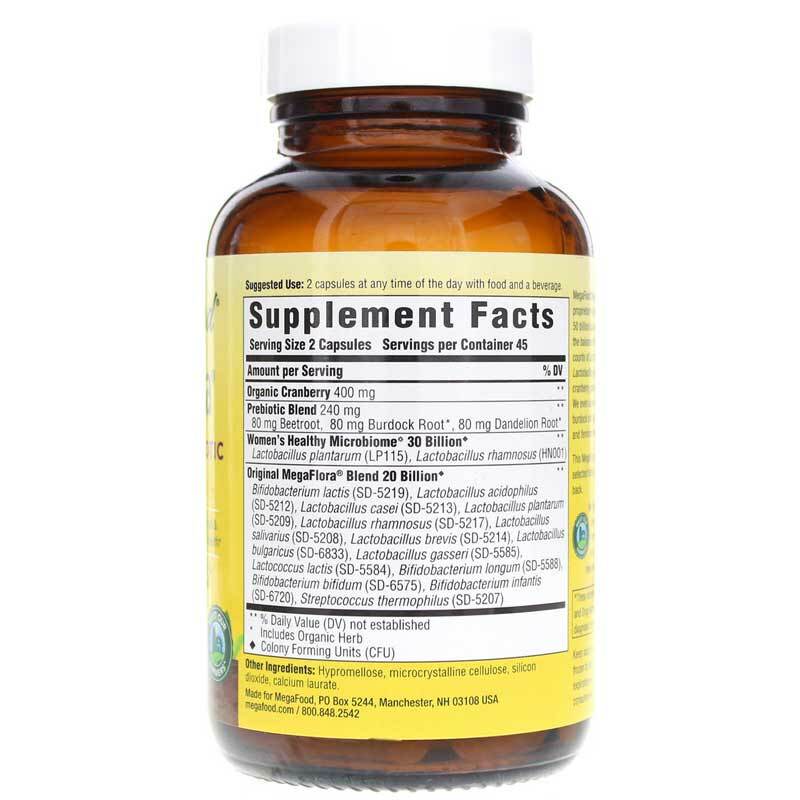 This formula includes a prebiotic blend of beet root, burdock root, and dandelion root to promote the growth of healthy bacteria, and also includes cranberry to support urinary tract health. 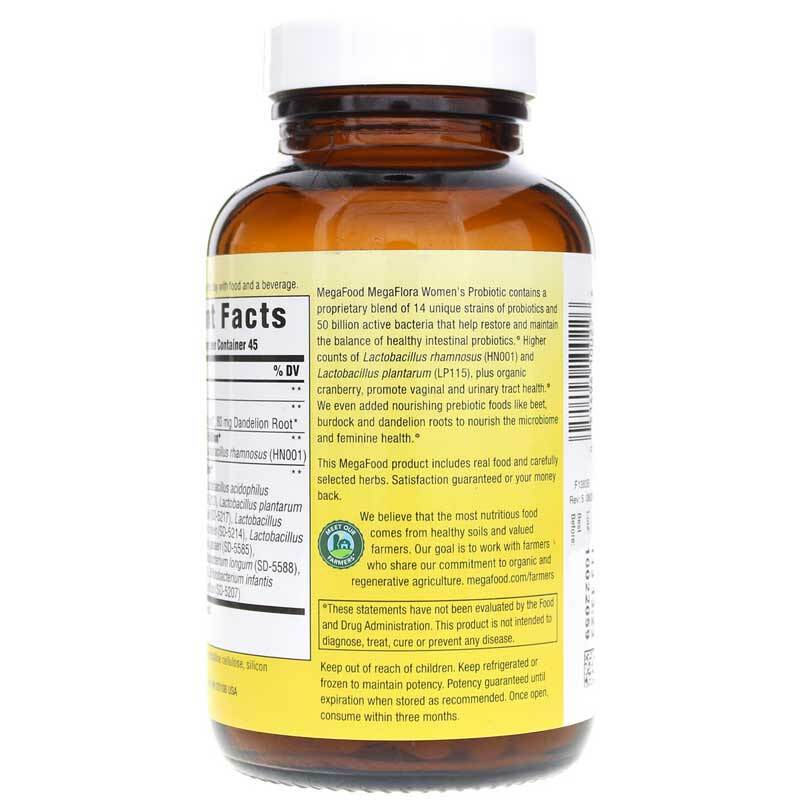 MegaFlora includes 20 billion CFU of MegaFood's original MegaFlora blend per serving. 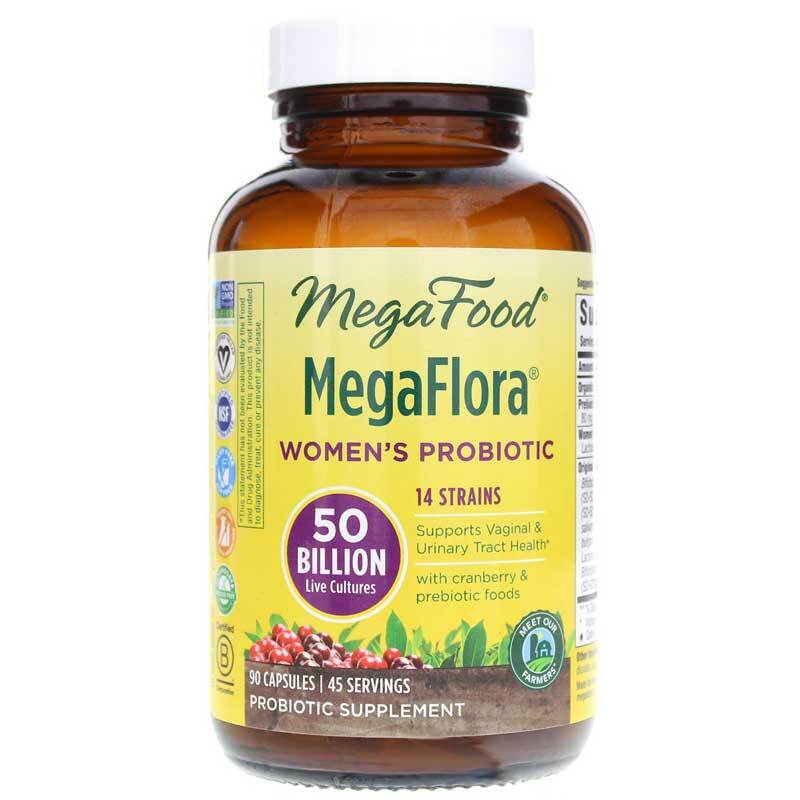 If you're looking for a daily probiotic that is specially formulated to support women's health, see if MegaFlora from MegaFood makes a difference for you. Order yours here today! Other Ingredients: Plant Cellulose, Silica, Calcium Laurate. Contains NO: gluten, soy, dairy, GMOs. Vegetarian. Adults: 2 Capsules at any time of the day with food. Keep refrigerated or frozen to maintain potency. FoodState Nutrients are made with fresh and local foods. Crafted with MegaFood's Slo-Food Process, they deliver the most authentic nourishment available, which MegaFood believes the body recognizes as 100% whole food. I noticed the difference almost immediately. Bloating, discomfort gone. Regular bowel movements. Overall more energy. I have used other probiotic supplements & find Mega Flora to give me the best results.